Last Saturday, August 4, 2018, PLDT Home Fibr launched the Metro Manila Inter-Village League at Kerry Sports Manila. This is the first and only basketball tournament that brings together different village leagues from all over the Metro. All participating villages are powered by PLDT Home Fibr. There are a total of 59 teams in two divisions, 29 under and 30 above. Villages are broken down per area like Ayala Heights, Philam Homes in the North, Ayala Alabang in the South, Valle Verde in the East and Lexington Homes in the West. The launch was a star-studded and exciting event. PLDT brought in National Team players Terrence Romeo and RR Pogoy to help open the tournament. They were joined by their TNT KaTropa teammates Anthony Semerad and Kelly Williams. Other pro players that attended the event were Chris Newsome, Ranidel De Ocampo and Nico Salva from the Meralco Bolts. 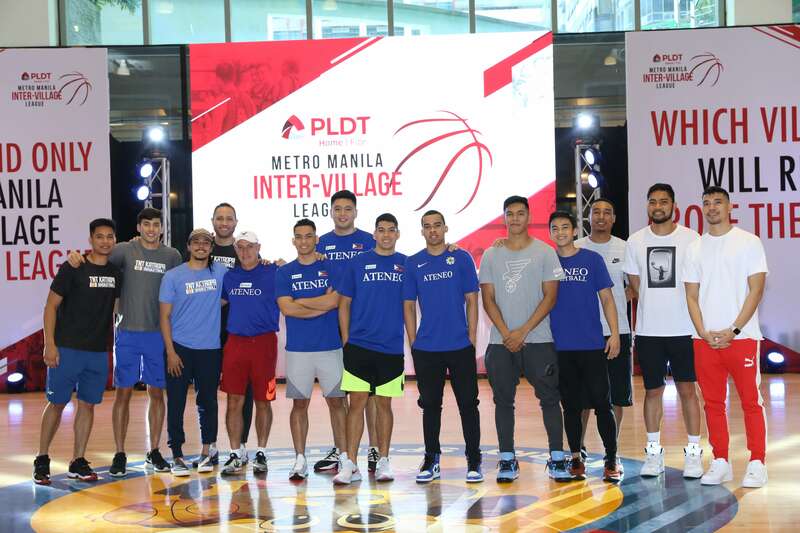 Thirdy Ravena, Isaac Go, Matt and Mike Nieto, Aaron Black, Anton Asistio and Coach Tab Baldwin of the Ateneo Blue Eagles also dropped by to check out the launch. 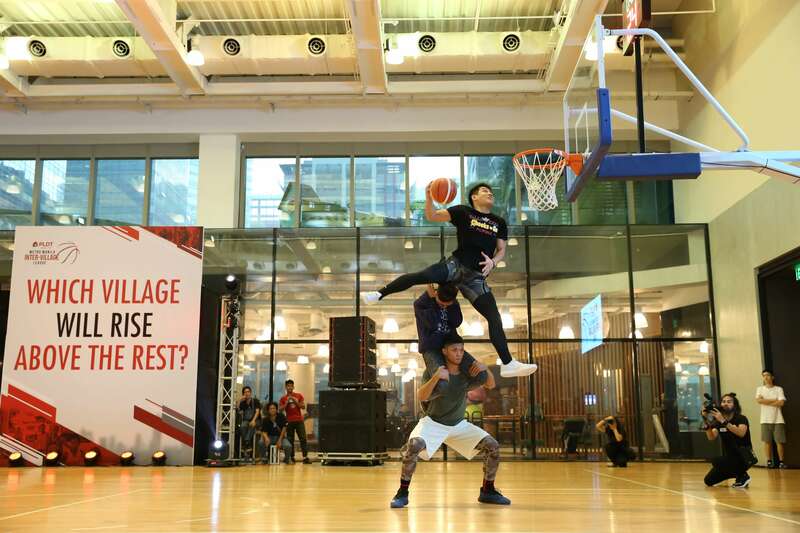 The event started off with a bang as Filipino high-flyers showed off their skills in a slam dunk contest. Dunk Champion David Carlos bested former UP Fighting Maroon Rob Ricafort and fellow contestant Darwin Catong. The champ wowed the crowd when he jumped over a group of six guys all hunched over to show off his hangtime. He secured the crown with an amazing slam over two volunteers with one guy carrying the other on his shoulder. The launch featured the first game of the tournament between Multinational Village and Tahanan Village in the 30 above division. It was a nail-biting contest as Multinational mounted a comeback in the final minutes of the game, leading to a game-winning basket. Ricky Lopez of Multinational drilled a big shot to give his team the lead with only 2.8 seconds left in the game. Jay Valdez of Tahanan had a chance to give his team the win but missed the potential game-winner. Multinational took the very first win of the tournament, 81-79. If the launch was any indication, the inaugural season of the PLDT Home Fibr Metro Manila Inter-Village League will be exhilarating. 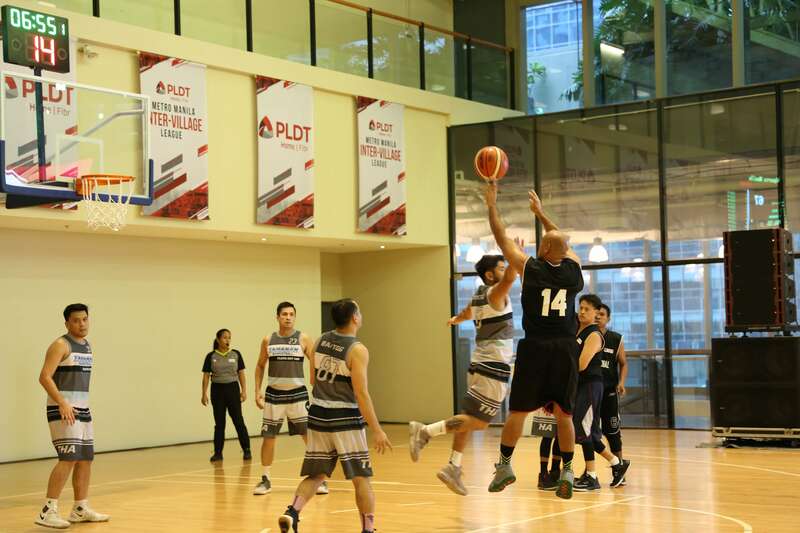 Metro Manila Inter-Village League games will be held every weekend. Game schedules will be posted on the PLDT Home Facebook Page. For more information on the Metro Manila Inter-Village League and PLDT Home Fibr-powered products and services, visit www.pldthome.com.